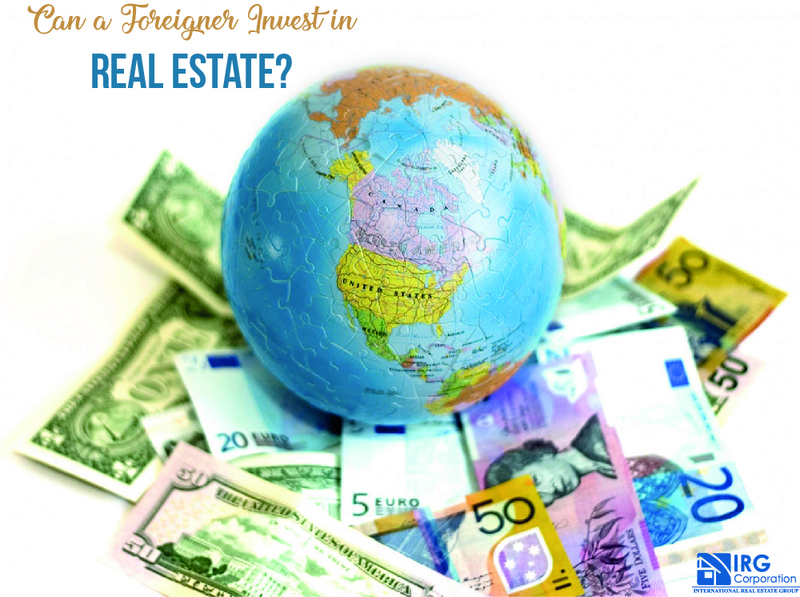 Can a foreigner invest in real estate? This may be one of the questions that has been most been done over the past few months because much of the foreign heritage is looking for alternatives to get moving and generate a return that brings the benefits that everyone wants in their lives.The answer for this is simple and yes, people from other countries can easily use their money to invest within the United States and, above all, specifically in the real estate where it is known that there are many opportunities to obtain benefits both medium as long term if things are done well and you associate with people who know this area and lead you to the real places where you will find what you are looking for. The amount of assets that exist, the liquidity and that feeling that just earning a few hundred dollars can do many things are the main reasons why many foreigners choose to go to the United States looking for life improvements and a profitability that in other places will not be so positive. As we mentioned before, if you do not know much about the country or how the real estate market moves, it is essential that you seek the advice of local agents who have experience in managing offers and know what you need as a foreigner to invest. There are many strategies that can work for you to find the right place to place your money and see gains that lead you to improve your life, but for this it is important to understand in terms of laws, tax obligations and the immigration status in which you find yourself. to be able to carry out this type of actions without any type of problem and here the knowledge of the professional you hire is key. If you really want to invest in the United States and have many questions on this topic, all you have to do is visit our website where you can find the points to contact us and where we easily clear any questions you have giving you the best possible treatment and advising in the way it deserves. How to deal with multiple offers?